If you teach English as a second language, "Illustrated vocabulary"is a good source of exercises to help your students practice basic vocabulary. 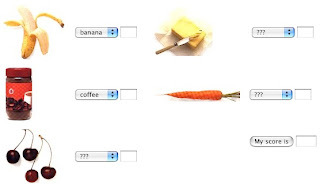 Students look at a picture and then need to select the name of the object from a multiple choice. Exercises include pictures in various categories including: food, architecture, office, colours, school, shapes, hospital, garden, days, months, jobs, music, tools, seasons, transportation, sports and zoo. After completing each exercise, students may check their answer and get their score.